Hello. 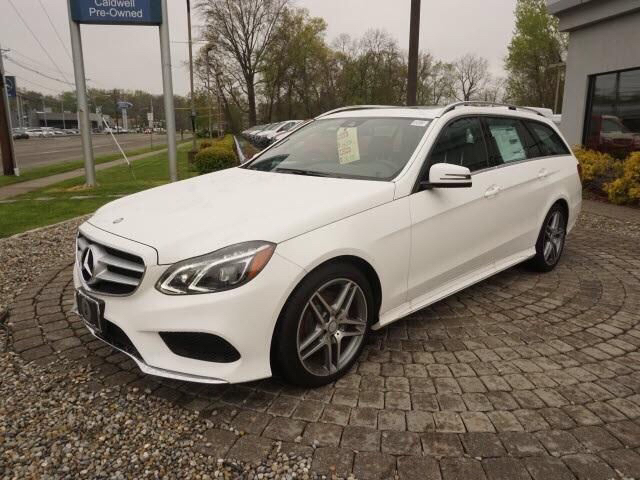 Been lurking here for a few weeks and have decided to join and ask for some buying advice on E350 4matic wagons. I will be in the market within the next week or so and currently drive a SIENNA Limited Van. No children here, just love the cargo space of a van which allows for the transport of Labrador retrievers to and fro. However....growing weary of the less than stylish looks of a minivan. Which is why I have been drawn to the E350 wagon. Absolutely love the looks and from what I have seen in limited pics here, both the 2nd and 3rd row seats fold flat to create a spacious cargo area in the wagon. Is this true? I am looking to buy used or cpo'd in the 2013-2015 year range. Are there any tips one here might provide as to what to look for and what to be weary of? Also, my wife is concerned that the firmness of the European cars will present a less than soft ride on long trips. She is suggesting to have me look at the Cadillac for that "living room comfort" feel. Respectfully, I appreciate in advance any tips or suggestions offered in reply. I have a 2015 E350 Wagon and absolutely love it. 2nd row does not fold perfectly flat, but the 3rd row does and when you take the retractable cargo cover you can fit a ton of stuff. If you are concerned with the ride firmness, get a Luxury trim with 17" rims. 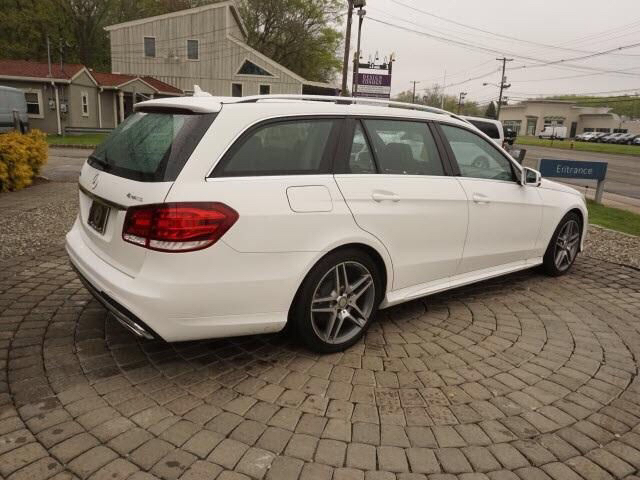 I too have a 2015 E350 Wagon which I love. Between the 17" wheels and Distronic Plus, the car's an absolute joy especially on extended trips when I average almost 30 mpg. 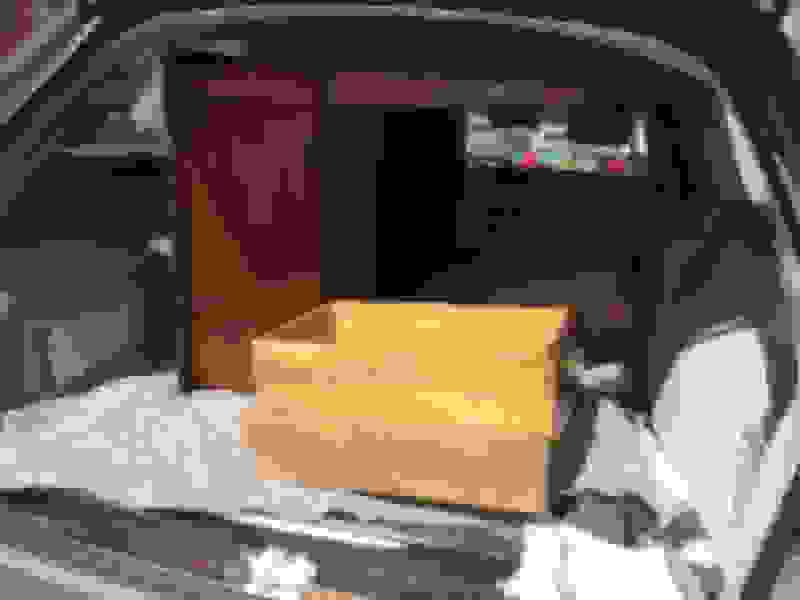 The rear cargo area folds flat enough (for us). With ease I was able to transport a large desk as well as a chest of drawers three states away. It's Palladium silver with grey leather and the standard 17" rims. My E430 4Matic had low profile wheels standard. I absolutely hated the harsh ride and all the flat tires. I'm a life long Mercedes Benz driver and this is one of the best I've ever owned! 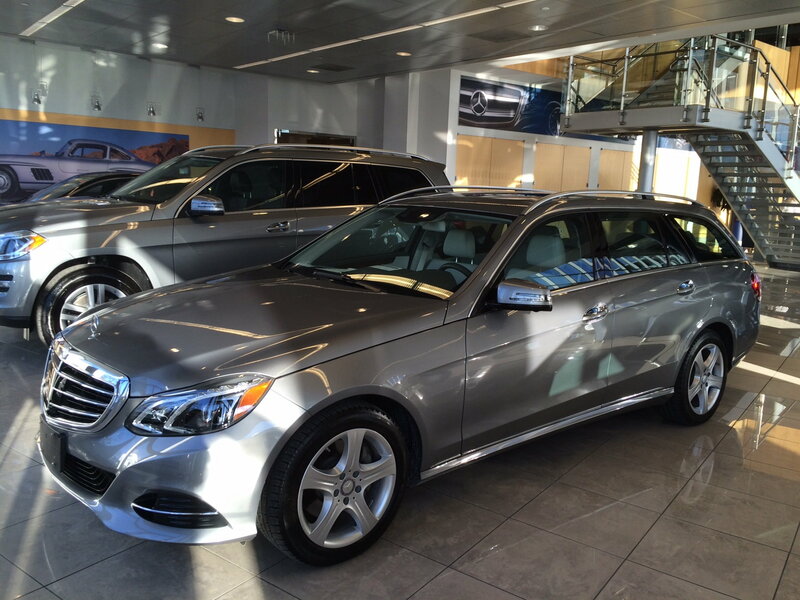 Go to MBUSA's CPO site and find one certified pre-owned with 17" wheels. I gotta be honest, I fell in love with the Sport trim an the way it looks, but should have gone with the Luxury. 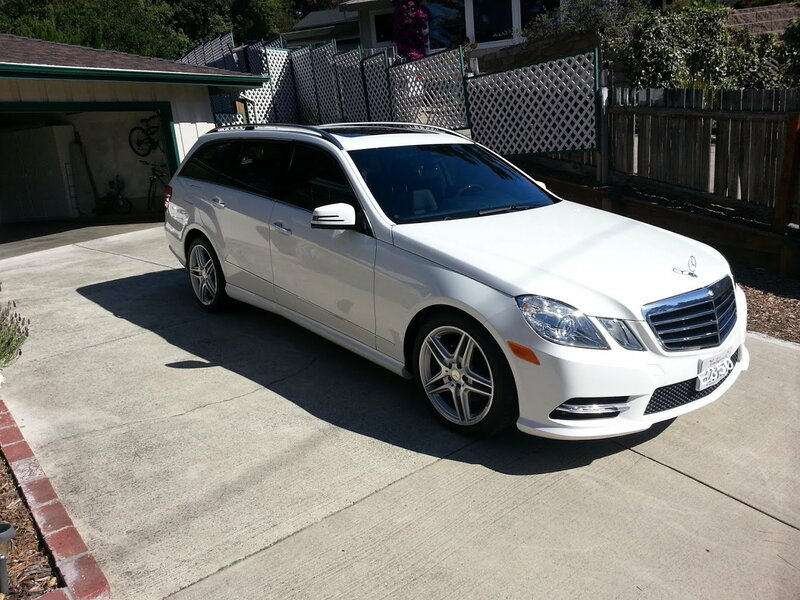 I have a 2013 E350 wagon with the sport package and 18" AMG rims. The ride is firm but not harsh or uncomfortable. We completed a 2700 mile road trip this summer and it was very comfortable, even on days when we did 12 hours in the car. The 3rd row folds flat, the 2nd row folds almost flat. I've moved lots of stuff with the wagon including baby cribs, dressers, sofas etc. The interior space is the same or slightly larger than the R class and ML/GLE class. Even with a full load, I can get 31mpg on long highway trips if I keep my speeds below about 70mph. at 75mph, I get 28 to 29 mpg. Pretty impressive for a large, heavy, 4WD vehicle. One thing I do not like (and this is not the just the E class) is the extremely low front fender lip that many modern vehicles have. 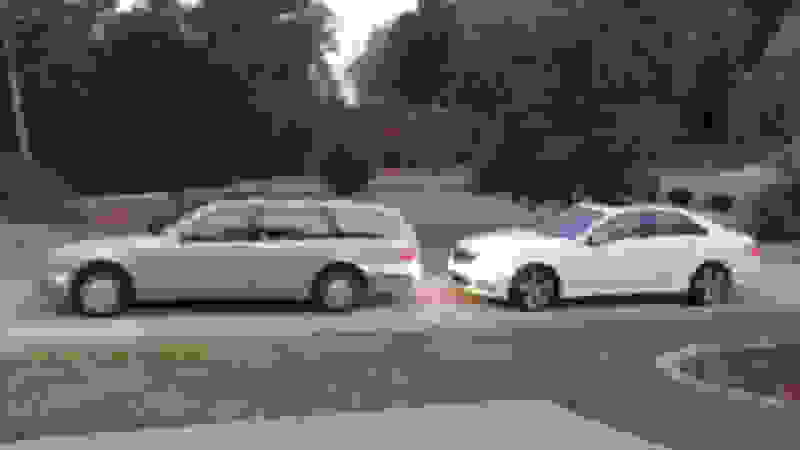 I know this is to improve looks and aero dynamics to improve efficiency but it also makes them very prone to damage from parking bump stops and even occasionally just turning onto streets that have dips in them for drainage. I've seen so many E classes (and other types of vehicles) with badly scratched/damaged lower front fender lips. With the seats folded down, here's a photo of the 60" desk I moved including a piece of glass the same size. While it filled the wide opening, once home three states away there wasn't one mark, not even on the headliner. I think the truck based M Class is narrower inside across the large rear wheel wells. The ML/GLE is about 1 inch narrower and 2 inches shorter based on some rough measurements I made at the dealer with a tape ruler. Looks plenty big for some Labradors! Exactly plus the ML/GLE is higher up off the ground with a greater lift-over. The opening on the ML may not be as cavernous. Last edited by E430_4MATIC; 10-28-2016 at 07:04 AM. Also if so inclined, with the second row folded, the cargo net can be configured be raised just behind the front seats. Well.....nothing cpo'd in the pgh area. Just a 2016 in black. Looking for something less new. Will keep hoping one shows up at a dealer near me! Thx for the help gents. 2014 is the first year with the new facelift. I purchased a CPO 2014 E350 wagon with 36k miles in SoCal for $37k two weeks ago. Local CA car, white with chestnut brown leather, sport package, well optioned. Impressed with the quality so far. Interior is top notch. I searched the entire western US for the color combo and options I wanted. Flew down to LA to pick it up. Drove it back home 400 miles without a hiccup. I was looking for the CPO warranty, one owner Carfax and a CA car. I have a 2013 wagon with 23,000 miles which I got CPO and knew the owner after my 2004 wagon was totalled at the dealership while it was in for service. When they took it for test drive, their maintenance truck hit it. So got good insurance settlement and while I had a beautiful paid off wagon with low miles and was devastated, they also did right on the 2013. At first, took some adjusting to 9 year difference in model but now after 18 months and 12,000 miles I love it. Just had B3 service. Seats fold flat enough for anything we have needed and 2nd car was a 2010 GLK which believe it or not we traded in for a new Subaru Outback. Not crazy about all the new small MB SUV's they seem cheap and tinny and plasticky and we couldn't get a good enough deal IMO. For what we were going to have to pay for a CPO with much higher miles than we were comfortable with he decided to get the Outback as his dad and brother-zone-law in Seattle are recent buyers. We don't love it like our GLK but can't beat the price and what you get for the money. If they still made comparable small SUV we'd have gotten one as we have driven MB's for 30 years. Sorry for diverting from the wagon. I have 17 tires and ride is smooth. I agree about the low front and wish there was front camera or alert as I have hooked mine a few times or else park too far back and then have to get back in car and pull forward. Mine is white with black leather and details in signature although I need to update mileage. I have grown comfortable in the car and love driving it. It is a beautiful and elegant vehicle that I plan to keep long-term as we do with all our cars. Highly recommend. Thank you for the info "balthus"! Very helpful! I know you will love your wagon as will your wife. They are awesome cars. Our 2005 held two German Shepherds with lots of room to spare. Labs certainly won't be a problem. We are on our third wagon, and have loved them all. We now have a 2013 in Diamond Silver, it is just a joy to drive! I just bought my mother a 2016 Sienna and got back from a road trip. My wife and kids were lamenting our 2002 W210 wagon. 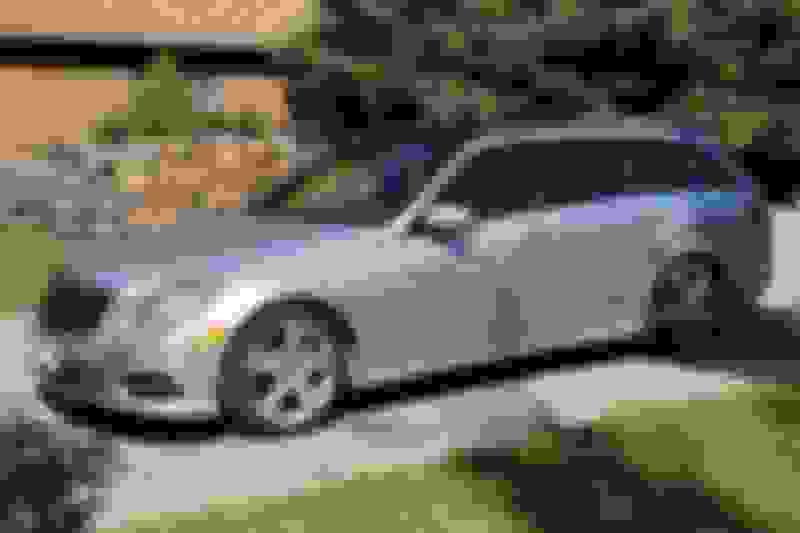 We also have a 2013 E350 Sport, si ti is hoped this comparison helps you. The W210 is, IMHO, a better wagon if you like comfort. The compliance of the car is amazing. Very quiet, smoother than butter and like your Sienna if it's center of gravity was much lower, the tie rod ends weren't made of cannoli noodles and it were a half ton lighter. Interior wise, 4 people and 2 dogs would not have a preference of either vehicle. For kids the Mercedes Wagon actually works a little better because of the novelty of the rear facing seats. Their noise goes in the other direction, which is nice. The interior on the W210 is of softer materials and has held up extremely well on our 2002 example with 29,000 miles. The W212 is somewhere along a line between the W210 and a current high end Mazda. I also like that the older wagon can be had with 2wd. The new car is a lot sportier. The new engine is a significant improvement over the older car's V6. IMHO the older engine, although award winning in its day was severely compromised by being a cut down 90 degree V6. The new engine is a proper 60 degree V6 is a more even firing order, tons more responsive and about 25% more efficient.The old engine does fine, has plenty of power, but the new engine (since 2012) is a worthwhile improvement. Also, the new 722.9 transmission might be a little more finiky than the older transmission, but it improved as much as the engine. The technology in the newer cars (2012 and up) is light years ahead of my 2002. IMHO (and my newer car was Mercedes CPO) the CPO thing isn't worth the money. If you can get it for the market price of other cars, go for it. However, not worth an extra $4,000 like some people are paying. These cars are very straightforward to work on ... nothing to be afraid of and dealers somehow get paid silly money to work on them. As for your Sienna ... drove the newer XLE for 200 miles. Got a couple of MPG worse than the wagons and did not enjoy the thing at all. The handling is terrible, it looks awful and the interior of my kids' Power Wheels is made of the same stuff. I've always thought Toyota's tag line should be "cars for people who really hate cars." In contrast, every time I sit in the old W210 I can not help saying, "I love this thing." The 2013 is better looking (IMHO) goes faster and handles like a late 80's 944. Not quite in love, but I like it a lot. 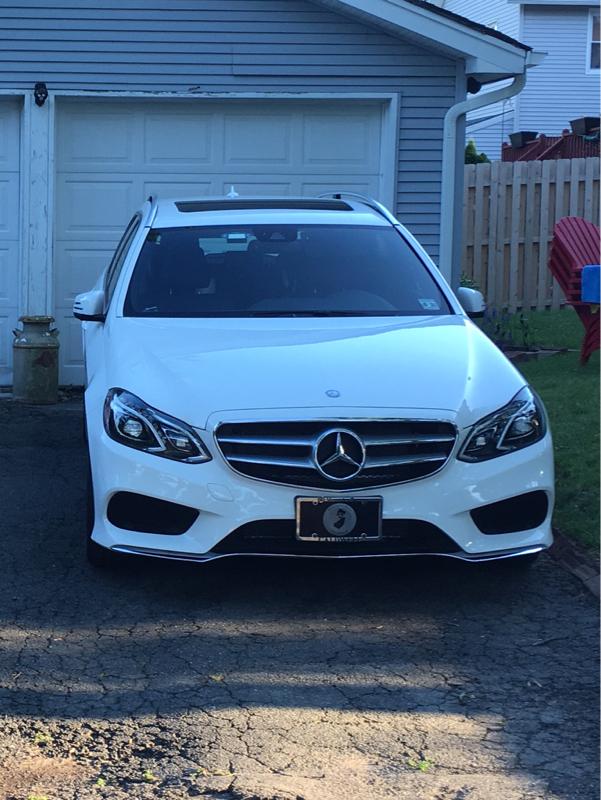 I am the proud owner 2015 E350 wagon and it's a stunning car. We put about 5000 miles on it so far and are very satisfied with the car. We have a lab as well and it's super practical. 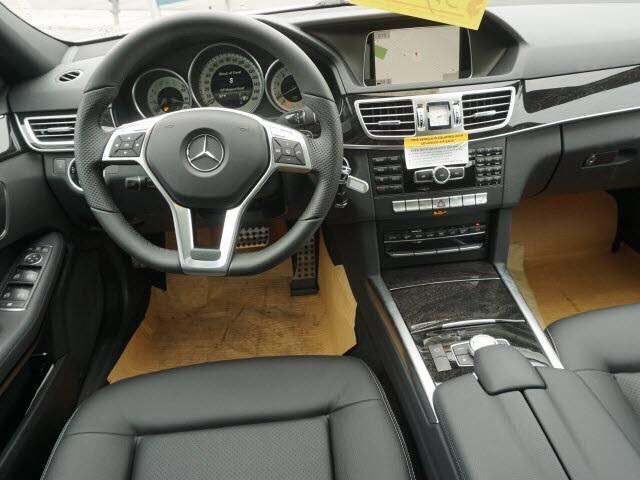 Ours has a black MBtex(very easy to maintain), premium pk1, 18"amg wheels, led lightning package, Amg steering wheel and blind spot monitoring. Although the ride is on the firm side, it's never uncomfortable. I suggest looking at left over 2016 inventory. You will be surprised at the discount a dealer may offer to take them off their lot. Without much negotiation I was able to get more than 10k off msrp. GREAT looking wagon pics everyone! Keep 'em coming. Yesterday I picked up a grandfather clock one state away and today we drive 3 states away to pick up a rescue beagle. Our S212 is pure joy! I always feel a connection other S212 drivers when I see them on the road. Last edited by E430_4MATIC; 11-02-2016 at 05:01 AM. I agree....the wagon pics are stunning! Never would I have thought any WAGON look so darn elegant and eye appealing. The pics speak for themselves!